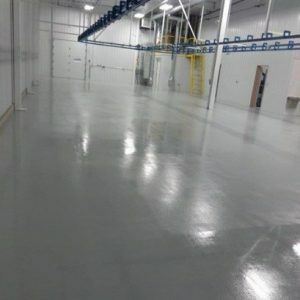 A large industrial filter manufacturer requested that TMI Coatings remove existing flooring and install new floor coating: clear and colored to improve light reflectivity and allow for easier cleaning for a lean environment. 16,835 sq. ft. of old flooring was removed and new flooring material was installed. TMI proceeded to remove the existing flooring by using our Prep/Master machine with five rotating heads and further tool cleaned with hand-held grinders. In the aisles, we removed existing flooring down to bare concrete so that when the clear sealer/dustproofer was installed, they would have a natural color. 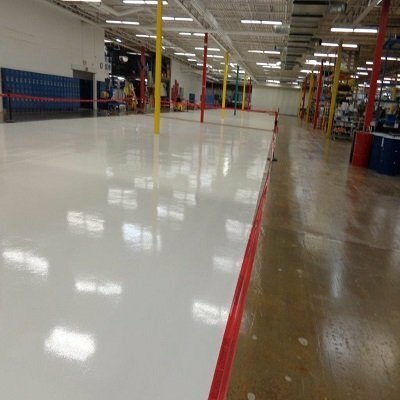 For the aisle ways, TMI installed white, low odor epoxy with an “orange peel” finish to brighten up the facility. The contact was very happy and stated that the floor looks very clean. 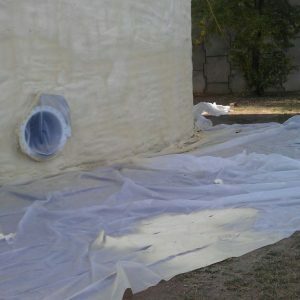 TMI Coatings finishing logo on elevated water tower in the central U.S.